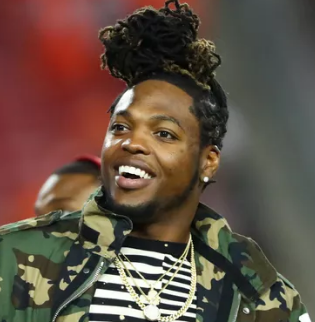 Derrick Lamar Henry Jr. famed as Derrick Henry is an American football running back for the Tennessee Titans of the National Football League (NFL). He was drafted in the second round of the 2016 NFL draft by the Titans. He plays by wearing shirt number of 22. He won the 2015 Heisman Trophy, as well as the Doak Walker Award, the Maxwell Award, and the Walter Camp Award. Henry holds the national high school football record for career rushing yards. He is a very talented player. Being the best running back. Henry ties longest rushing touchdown in NFL history as Titans rout Jaguars. Henry tied Tony Dorsett’s 99-yarder in January 1983 for Dallas against Minnesota for the longest TD run in NFL history. Henry ran to his left and up the sideline, stiff-arming first Jaguars cornerback AJ Bouye, then rookie linebacker Leon Jacobs twice and finally shoved past linebacker Myles Jack to finish off the TD. The 2015 Heisman Trophy winner celebrated by striking the Heisman pose not once, but twice. 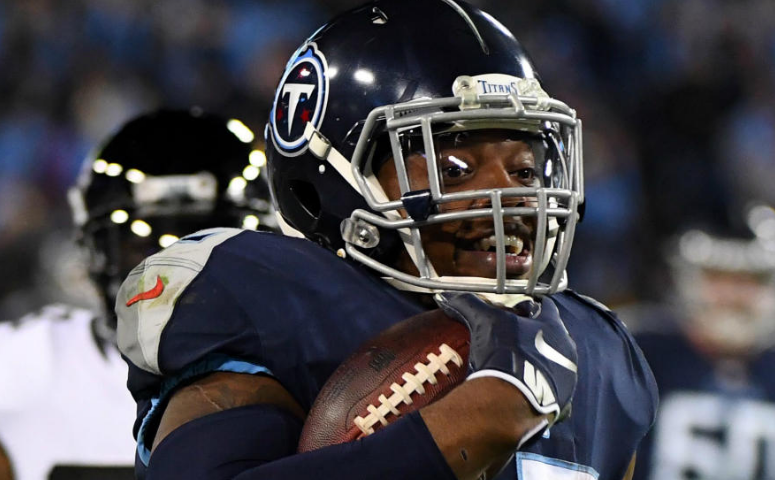 Derrick Henry sped and stiff-armed his way to a record-tying 99-yard touchdown run and the Tennessee Titans routed the Jacksonville Jaguars 30-9 on Thursday night to stay in the playoff chase. Henry tied Tony Dorsett’s 99-yarder in January 1983 for Dallas against Minnesota for the longest TD run in NFL history. Henry ran to his left and up the sideline, stiff-arming first Jaguars cornerback AJ Bouye, then rookie linebacker Leon Jacobs twice and finally shoved past linebacker Myles Jack to finish off the TD. The 2015 Heisman Trophy winner celebrated by striking the Heisman pose not once, but twice. Derrick Henry was born on 4th January 1994 with the birth name of Derrick Lamar Henry Jr. in Yulee, Florida. As of 2018, his age is 24. His nationality is American. His Zodiac sign is Capricorn. His religion is Christian. He was born to Derrick Henry Sr. and Stacy Veal. His ethnicity is Black. Regarding his education, he attended Yulee High School and later he attended Alabama College. He majored in Communications. He graduated on May 4, 2018. Derrick has got an athletic and muscular body build. He has a tall height of 1.91 m or 6 ft 3 in. His balanced weight is 112 Kg or 247 lb. He has a very healthy body. With his charming smile, he attracts a lot of people towards him. Derrick started his career from his high school where he played as a running back for the Yulee Hornets football team. In the year 2013, he played as a true freshman where he rushed for 382 yards on 36 carries with three touchdowns. He had 111 rushing yards and his first collegiate rushing touchdown in the 52-0 victory against Arkansas on 19th October 2013. During the 2014 Sugar Bowl, he rushed for 100 yards and a touchdown on eight carries and had a 61-yard touchdown reception. He started his 2014 season against Virginia where he had 113 rushing yards and a rushing touchdown. Later, he played against Florida, Texas A&M, Tennessee, Western Carolina, Auburn, Missouri and more. In his sophomore year, Henry rushed for 990 yards on 172 carries with 11 touchdowns. In the year 2015, he took over as the starting running back as a junior. His 2015 season started against Wisconsin where he had 147 rushing yards and three rushing touchdowns. Later, he played against Middle Tennessee State, Ole Miss, Arkansas, Razorbacks, Texas A&M, Tennessee, Mississippi State, Florida and more in his 2015 season. He declared for the 2016 NFL Draft after his junior season. He was drafted by the Tennessee Titans in the second round (45th overall) of the 2016 NFL Draft. Tennessee Titans signed Henry to a four-year, $5.40 million contract with $3.30 million guaranteed and a signing bonus of $2.13 million on 9th May 2016. He began his rookie season as the backup running back to veteran DeMarco Murray. He made his professional regular season debut and earned his first career start in the Titans' season-opening loss to the Minnesota Vikings. He finished his rookie season with 110 carries for 490 rushing yards and 5 touchdowns in 15 games and two starts. He ran for 184 yards and a touchdown on 35 carries and caught 5 passes for 56 yards in his 2017 postseason. During Week 2, he recorded an eight-yard pass completion, the first of his career, to Taiwan Taylor in the Titans' 20-17 victory over the Houston Texans. He had a 99-yard run, fending off four tacklers, on December 6, 2018, versus the Jaguars. This tied him with Tony Dorsett for the longest NFL touchdown run. Derrick is unmarried yet and he is still to get married. He is currently focusing on his career rather than being in a relationship. He is enjoying his life a lot being single. He has not revealed more information regarding his private life. He is a very secretive person. He may have a girlfriend. The famous running back player, Derrick has surely a net worth in millions. His net worth is estimated to have $6 Million as of 2018. He is making an impressive net worth. His salary is $4 Million as of 2018. He is earning a good amount of money from his work. He is a very successful person in his professional career. Henry holds the national high school football record for career rushing yards.